Vitamin consists of two types, namely fat-soluble vitamins and water soluble vitamins. The difference of these two vitamins are very clear. Vitamins that dissolve in fat (lipid) are vitamins A, D, E, and K. While vitamin that is soluble in water, there are two, namely vitamins B and C.
The level of vitamin ability to dissolve, will affect the body's ability to absorb it, it is easy or difficult to disappear from the body, and whether or not stored in the body. The performance of the vitamin in the body, is also affected by age, gender, and body condition. Mothers who are pregnant or nursing, have a different vitamins response to women who are not pregnant. Why do we have to be careful to consume fat-soluble vitamins? On the way through the lymphatic system of the small intestine to the blood circulation in the body, fat-soluble vitamins are usually absorbed in the form of chylomicrons (fat globules). After that, the vitamin is stored in body tissues and will settle there. This condition primarily occurs in vitamins A and E.
This is why you are not recommended to consume fat-soluble vitamin that is too much, because it will happen until there is a buildup of vitamin overdose, or hipervitaminosis (disruption caused by too much vitamin). Unlike water-soluble vitamins. Before the accumulation, these vitamins will be lost through the urine, so the chances are you have excess vitamin becomes much smaller. So that the body can be protected from the disease, and especially not to overdose of vitamins, daily needs must be addressed. As a reference, the ideal dose can be seen below. Vitamin A can be obtained by eating eggs, cheese, yogurt, fatty fish, milk, sweet potatoes, and red vegetables. In one day, women need 2,330 IU of vitamin A, while men need 000 IU. Vitamin D can be obtained from eggs, sardines, mackerel, salmon, milk, and cereal. The recommended dose is 200 IU for ages 19-50 years, 400 IU for ages 51-70 years, and 600 IU for more than 71 years of age. Vitamin E can be obtained from nuts, seeds, corn and olives. The recommended dose is 15 mg for adults. Vitamin K can be obtained from spinach, broccoli, cereal grains, and oilseeds. The right dose for vitamin C is 0,001 mg per kilogram of body weight. Many people feel safe taking supplements because it says made from natural ingredients. In fact, supplements are may not be completely safe for everyone and even considered not suitable for people with certain medical conditions. In fact, supplements can be harmful when interacting with other drugs. 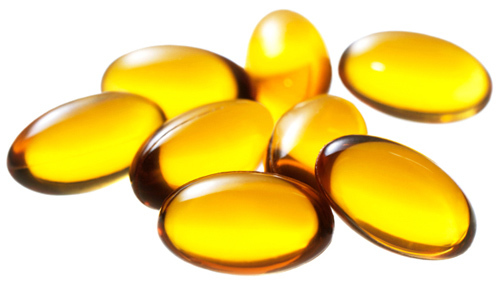 Most supplements contain fat-soluble vitamins. When consumed in excessive amounts, it would be toxic to the body. The effect is diverse, ranging from headaches to life-threatening. Therefore, taking supplements with this content should always be under the supervision of a physician. Even so, you are advised to not lack of fat-soluble vitamins. This could happen if your body is less intake of fat, or fat absorption is not good because you are taking certain medications or experiencing a particular disease, such as in pancreatic enzyme deficiency disorder. Are strongly advised to take vitamins at the right dose, and avoid taking them lightly.